Tap here to read description. Tap image for additional information. 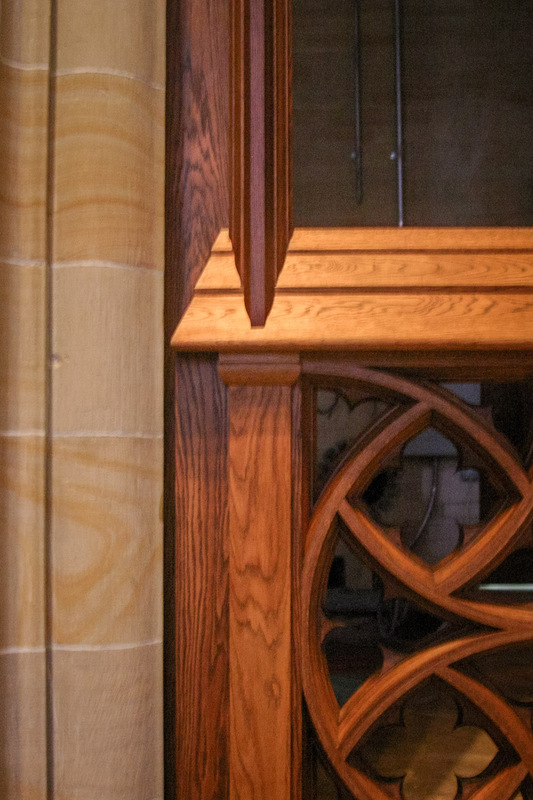 Speaker Enclosures that are 15’ tall for the Bryn Athyn Cathedral. 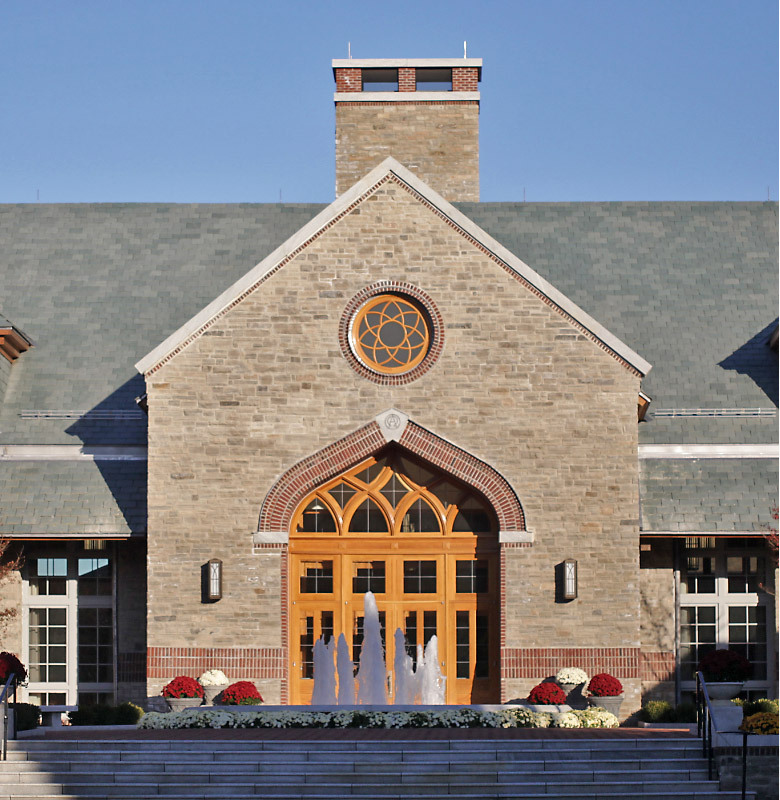 Entryway and rose window for the Brickman Center at the Bryn Athyn College, Bryn Athyn PA.
Curved tracery bars typical of Federal Style fanlight. This design was awarded a 2015 Palladio Award. 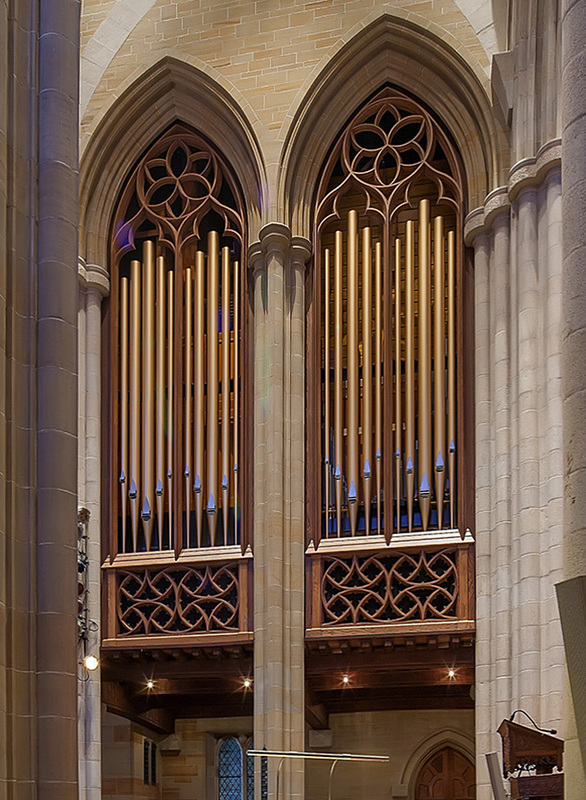 Historic Doors designed and fabricated all of the woodwork involved in this pipe organ facade. 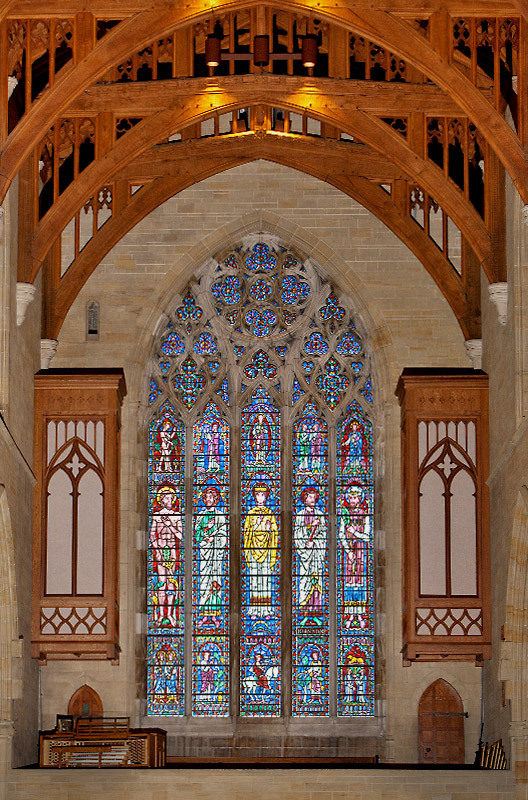 Bryn Athyn Cathedral, Bryn Athyn PA. Photo credit: Tom Crane. This design was awarded a 2015 Palladio Award. 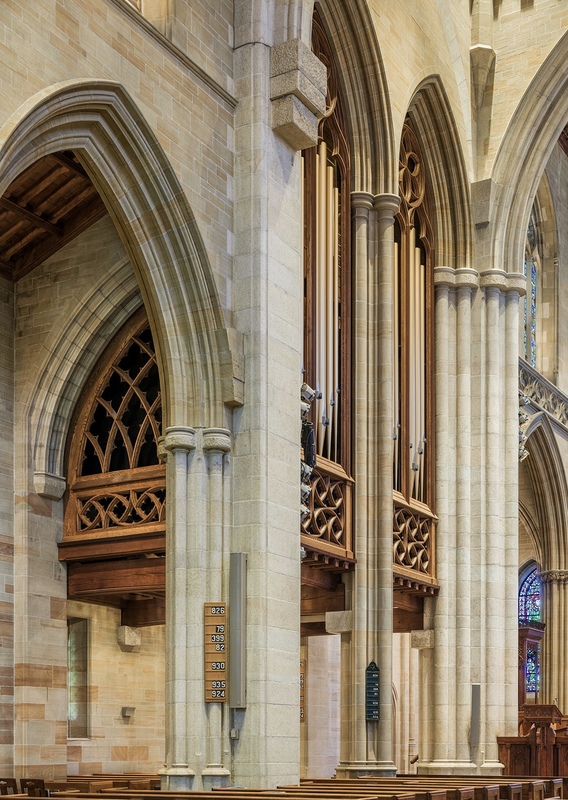 Historic Doors designed and fabricated all of the woodwork involved in this pipe organ facade. Bryn Athyn Cathedral, Bryn Athyn PA. Photo credit: Len Levasseur. 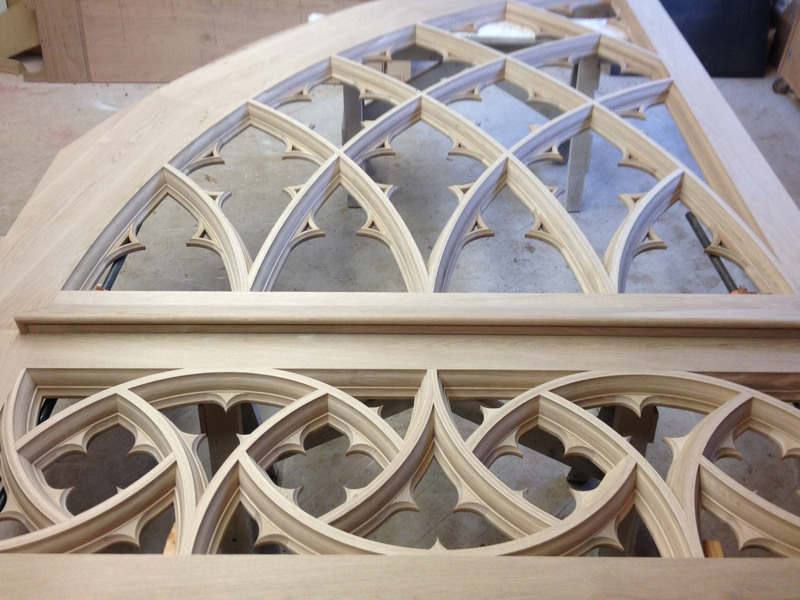 Side arch for the Bryn Athyn Cathedral with the cusping installed. 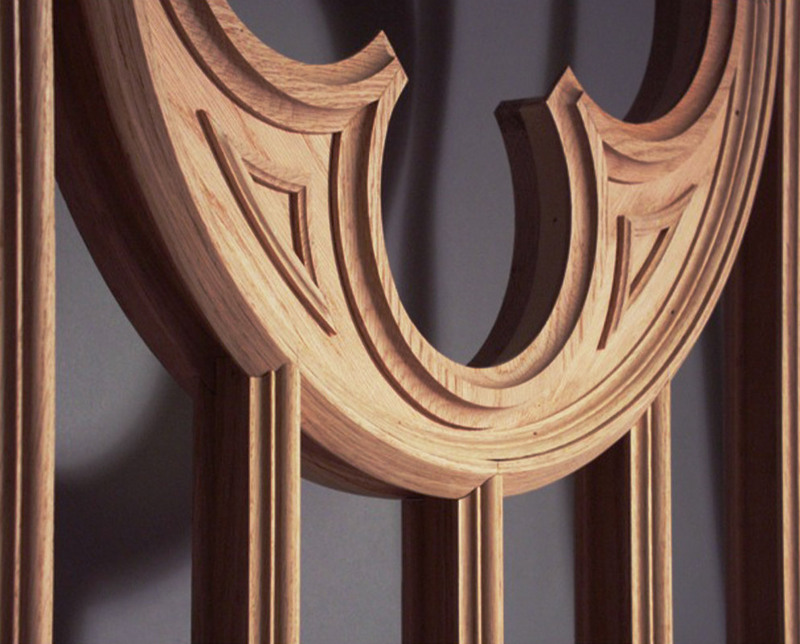 These tracery patterns emulate traditional woodwork found in English Gothic Cathedrals. 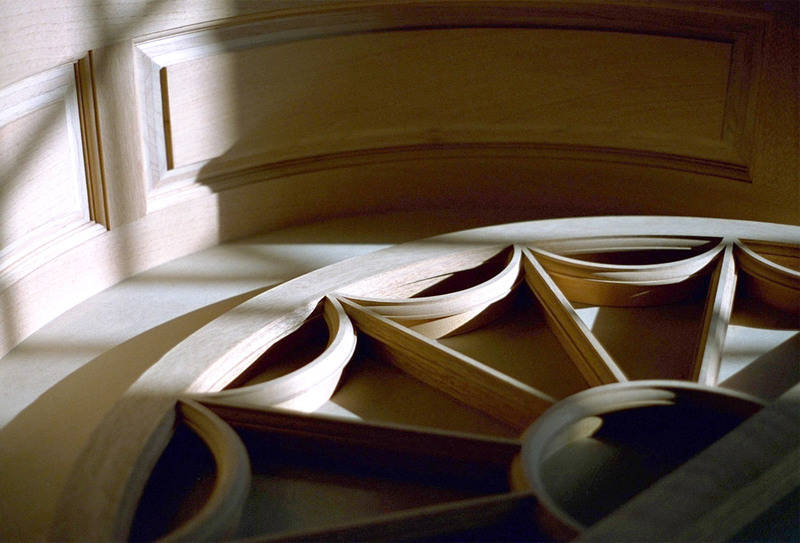 Tracery is curved, geometrical ornament found in windows, fanlights and sidelights. Tracery patterns give an opening focus and a sense of wonder. 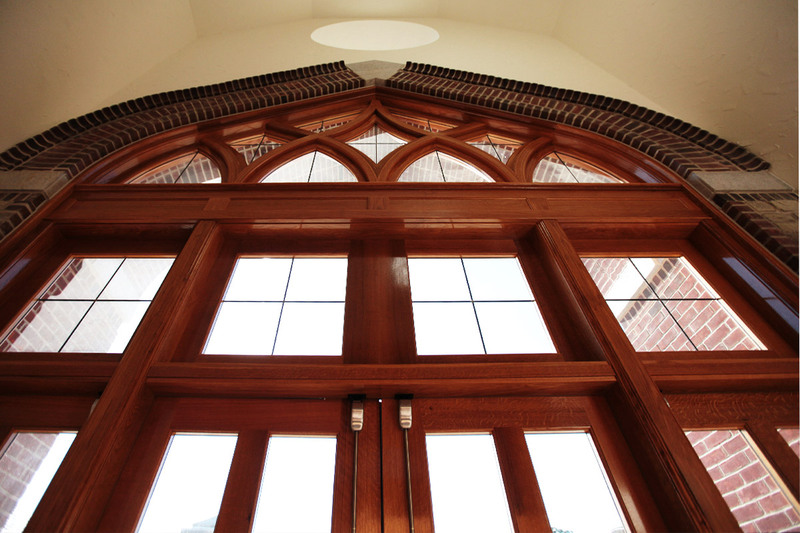 Our experience with curved woodwork and geometry over the years has led to many wonderful opportunities building tracery for universities, churches, and residential entryways. 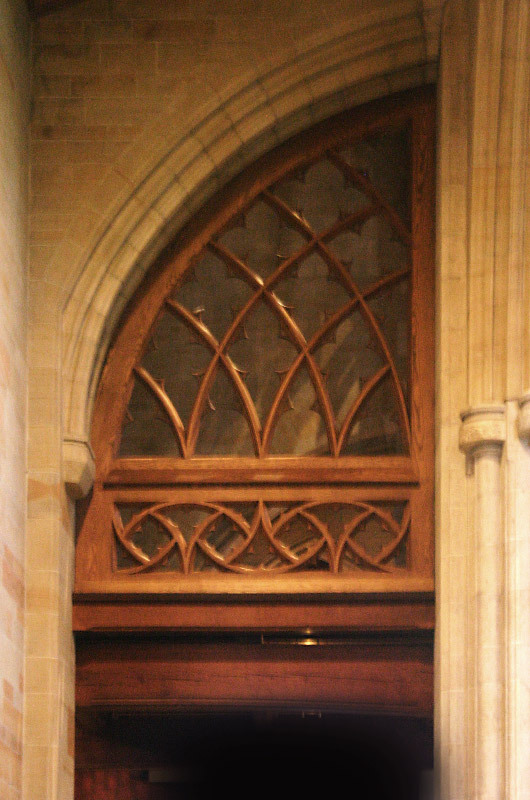 Tracery is usually thought of in its traditional gothic application. It can also found in Federal and Classical Revival sidelights and fanlights.